A low cost method of reducing crank length so that, for instance, children can ride on the rear of an adult tandem. 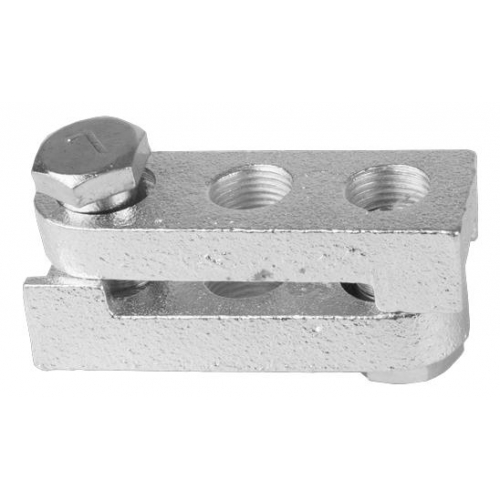 These crank shorteners are sold as a pair for left and right crank. They fit crank arms of up to 17 mm in width and shorten the crank by either 23 or 46 mm. See additional photos to see how they fit. The photos show the crank shorteners fitted to a single speed crankset with cotter pins, and with Wellgo 868 pedals. Wider cranks may well not work with these shorteners. 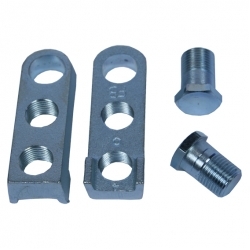 We recommend use of washers as shown, though washers are not supplied with the crank shortener. These shorteners are compatible with the standard 9/16 inch pedal threads used on almost all bicycles. They will not work with the 1/2 inch pedal thread used on some childrens' and BMX bicycles.